The Conference Suite is undoubtedly one of the most exquisite conference and banqueting suite in Birmingham. Its level of luxury, service and security are of the highest standard. The Conference Suite combines creativity, individuality and flexibility to suit the needs of your function. The individual touches will make the difference to your event to ensure that it is a success in every way. Our expert staff will create the atmosphere you want for a memorable day. The Conference Suite is particularly suited to celebratory occasions, wedding receptions, religious festivals, product launches, conferences, exhibitions and social gatherings & much more. The Conference Suite is infinitely versatile. Lending itself equally to medium sized receptions or grand occasions. With a seating capacity of up to 1000 guests in hall 1 and up to 300 guests in the newly refurbished 1st floor hall 2. We definetely ticks all the boxes when it comes to organizeing your next event. Ready To Book Your Next Event ? 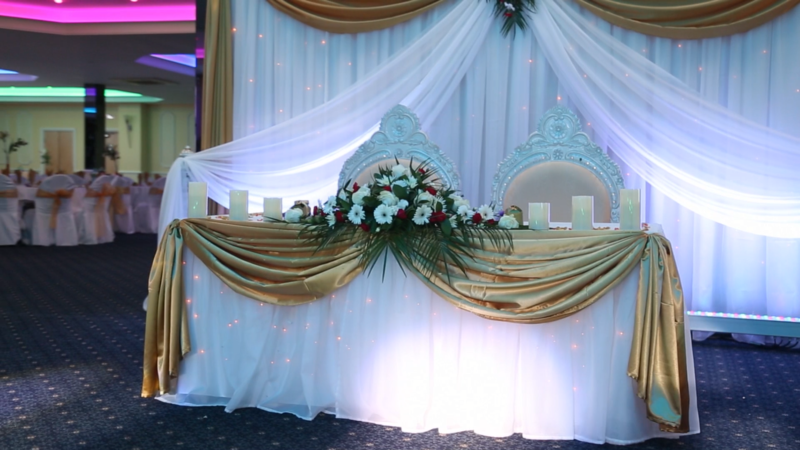 The Conference Suite is a incredible affordable banqueting suite Birmingham, United Kingdom hosting all kinds of events. We are versatile in different types of ceremonies and helping you to prepare for your wedding. You have the choice of two suites and our expert staff will help you create the ambiance you want for a truly unforgettable day. The Conference Suite takes pride in adhering to stringent criteria to ensure superior quality in products and services. The capacity of each room varies depending on the setup, including event requirements such as tables, displays or audio visual equipment. To make the wedding function more lively and special you can book professional performers like singers and dancers depending on your choice for the function and theme. You will be adding a special sparkle and fun to the wedding day festivities by choosing the right kind of music for the right occasion. The bridal suite offers the bride her own personal space and privacy before she makes her grand appearance with the groom.